English breakfast is loved by many all over the world and it’s not famous only in England but most countries even Dubai’s restaurant and hotels makes some amazing English breakfast. The combination of eggs, bacon, sausages, and beans makes your average bowl of cereal look like nothing more than a sad, milky mess, and the only downside of the breakfast. The gold medal-winner took to Facebook Sunday morning to share the breakfast he was cooking for his fiancé Dustin Black. 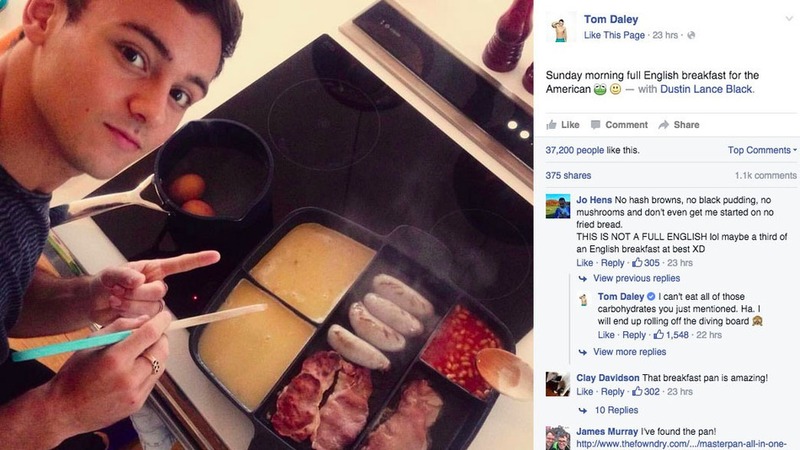 Initially, the post sparked some discussion about what food items are needed to make a true full English breakfast. Described as the “ultimate kitchen utensil” on The Fowndry’s website, the aptly name MasterPan All-In-One has five different compartments for maximum full English-based cooking happiness. 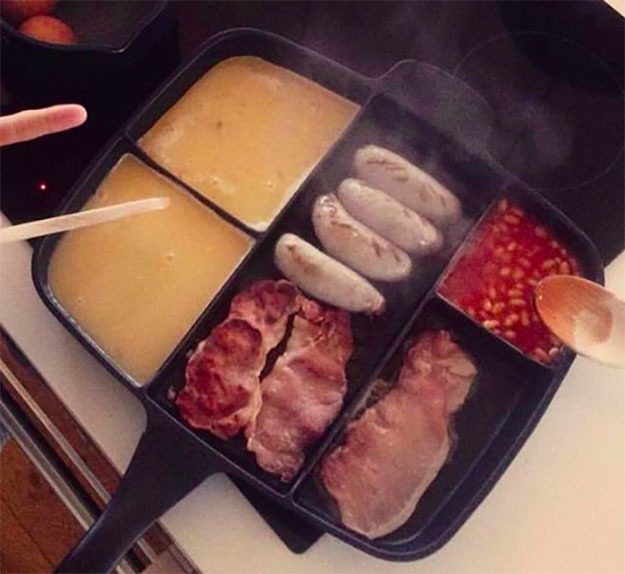 So now you can make all of your English breakfast in one go and you can have all these monster calories every day without spending a lot of calories. I got million calories just by looking at this gorgeous gorgeous meal.